Everybody was talking about Jamie when the musical first opened to rave reviews in Sheffield. Everybody was talking about Jamie when the show stormed the West End with five Olivier Award nominations. And now Everybody’s Talking About Jamie yet again, as the feelgood musical sensation has announced a big screen adaptation; it’ll be made into a major film by Sheffield-based production company Warp Films. The announcement marks a fairytale rise for the joyous show, from early previews at Sheffield Theatres, to the silver screen of cinemas, in just 18 months. Filming is expected to commence in Spring of next year. If cinema-goers can’t wait until then, Everybody’s Talking About Jamie will also be screened live from London’s Apollo Theatre into 510 cinemas across the UK and Ireland on Thursday 5 July 2018. And the good news doesn’t stop there for Jamie fans: the smash-hit West End show has extended its London booking period at the Apollo Theatre until April 2019. More information about the film is set to be revealed on Wednesday 30 May at a live launch event, to be held at the Crucible Theatre in Sheffield – the original home of the show. Directed by Jonathan Butterell, written by Tom MacRae and with music by Dan Gillespie Sells, it will be inspired by the musical, and is being developed in conjunction with Film4. Warp Films’ acclaimed previous works include This Is England and Ghost Stories. 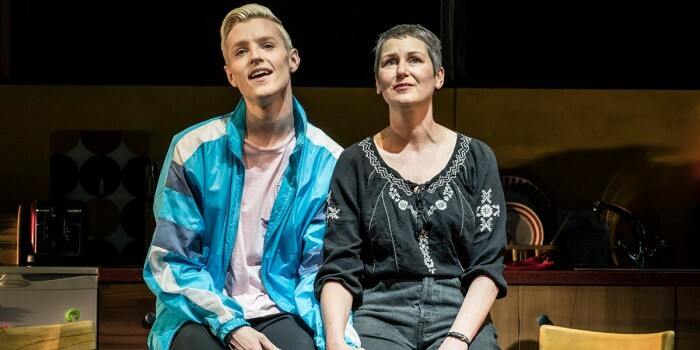 Everybody’s Talking About Jamie is the musical tale of big-dreaming Jamie New: sixteen, on the edge of possibility, not quite fitting in on a council estate in Sheffield… and with a secret to tell. But supported by his brilliant loving mum and surrounded by his friends, Jamie overcomes prejudice to beat the bullies and become an uplifting sensation.